Is the old recliner not quite cutting it for your tired back and sore muscles? Do you want a home massage chair but aren't quite sure where to start? Thinking about where and how to buy a massage chair for your home can be pretty overwhelming, we know, but let's find out of you should consider Cozzia EC-618 as a chair of choice.Let's start with the bold statement first: Cozzia is a brand you can trust. They have mostly postive feedback from users, good rating, and a loyal customer base. Their chairs utilize the latest technology and are a easy to use. We've poured over the research, analyzed the specs, and provided a comparison with the EC-670 and Cozzia CZ-628 for you to take a look. If you've gotten this far in your research, you have probably aware, or at least know a little about the wonders of technology called zero gravity positioning. Forget about stress, tension, and compression on your spine, and get ready to sit the way the astronauts do. 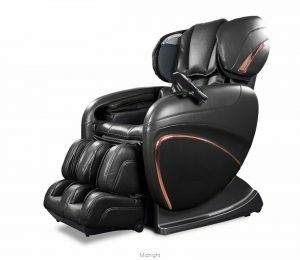 This Cozzia 3D zero g massage chair takes all weight off your vertebra and joints, putting you in the position to achieve ultimate relaxation and pain relief. Being fully reclined or further—with your feet above your heart—increases blood flow, speeding healing effects and improving circulation. This advanced engineering in massage enables the rollers to move through multiple planes. So, unlike a 2D massage, where you would only feel the rollers against your skin, pressing on your muscles, 3D allows them to penetrate into the third plane, going into the deep tissue within your muscle fibers. This technique most closely mimics a human massage, and you will feel the healing intensity up and down, from side to side, and in and out of your back. You can customize the experience to the right pressure and intensity for your specific needs, and get the deepest massage possible. Advancements in the rollers of this chair enable it to penetrate deeply into the areas of the feet that correspond to not only all parts of the body, but all the nerve endings and reflexology zones. 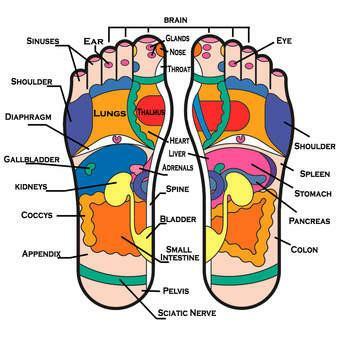 Reflexology has been indicated by medical professionals and researchers to be highly therapeutic for many aches, pains, diseases, and ailments. This deep rolling sensation on the soles of your feet is not only blissful, relaxing, and incredibly rejuvenating, it's also healthy for myriad ailments including stomach problems and stress relief. LED lighting is built in to provide you with optimal chromotherapy. This is the practice of using colored lights to provide deep healing throughout your body through the use of colored lights. Dim the overheads or side lighting in the surrounding area, and turn on the Chromotherapy lighting to enhance deep relaxation and rejuvenation. The built-in speakers enable you to listen to the sounds of your choice -whether music or nature -to help relax and lull all your senses into a deep state of transformative rejuvenation. No more messing with cords or bulky speakers. The easy-to-use remote control enables you to design, customize, and change your massage, settings and intensity at any time, at the touch of a button. 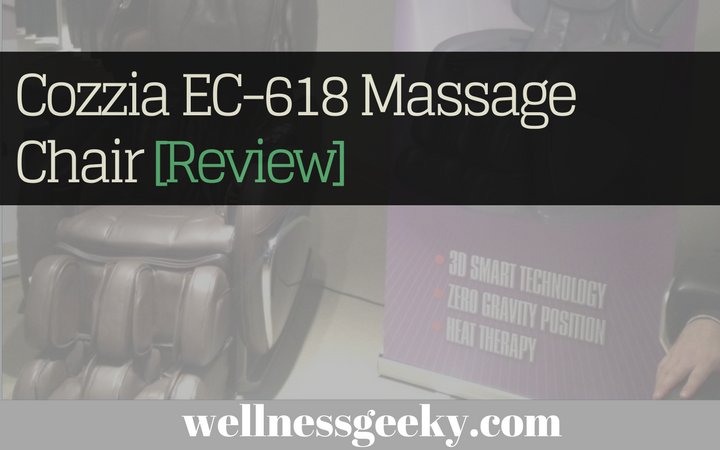 The EC-618 features six different types of massage and 8 automatic programs to choose from. It provides the coveted stretching as well as full body air, sole roller, and spot massage. Airbags are located throughout and deliver delicious airbag compression massage to arms, shoulders, neck, thigh, seat, calves, and feet. There are sixty-four airbags in total and you can choose between five levels of intensity. The seat provides vibrational massage, and you can adjust both the strength and intensity of the 3D rollers. There's heating in the lumbar area of the lower back, and the body scan technology brings a customized massage that is personalized to your exact body type. The Cozzia EC-618 comes with a phenomenal warranty. Should anything go wrong with any of the parts, they are covered for two years. And for the first year you own the chair, if anything breaks or malfunctions, you will get a technician out to your home to repair it. The chair ships with a manual that is also available on the Cozzia website. It contains easy to read instructions for installation, moving, and programming, should you need help with the remote control. If you want everything the 618 has to offer plus a little more, the CZ-628 delivers. You get an extra year on the in-home warranty service. It also comes with a special low-noise feature if you like your relaxation to come with a little more silence. There's a built-in system to detect and adjust the air pressure in the airbags as well. It also has a built-in USB charger in case you want to use or charge devices while you're relaxing and getting a massage. You get all of the outstanding massage features, advanced 3D roller technology, body scanning, and stretching. A built-in sound system lets you connect your music wirelessly, and chromotherapy lighting adds to the relaxation of your senses. The EC 670 has fewer features than the CZ-616 or 826. 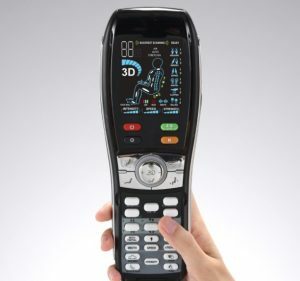 You still get zero gravity positioning, many massage techniques, built-in automatic programs, and airbag massage, but if you like the foot rollers and reflexology, you'll have to look elsewhere. There's no MP3 connectivity in this chair, but you it does come equipped with chromotherapy lighting, and of course you can still operate and change settings with the remote control. A little less bang for your buck overall, but still a high quality chair. The health and wellness benefits of massage have been thoroughly researched, and the studies continue to show that it does wonders for easing pain and increasing relaxation, which is good for our bodies and minds. 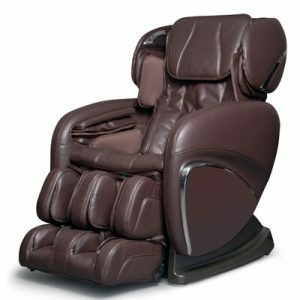 A home massage chair enables you to lead a more relaxed and invigorated life and saves money in health and medical care. The Cozzia EC-618 is often available on sale at local retailers and on Amazon. Once you buy it, it's hard to imagine anything better showing up on your doorstep in a day or two. The features, quality of massage, beautiful design, and ease of use are just a few things over and above the engineering and craftsmanship that make this a great investment.